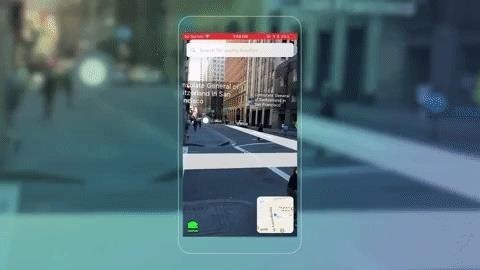 It would be hard to deny that the emergence of ARKit, followed by ARCore, has accelerated the proliferation of augmented reality apps for consumers. Six months after its official release, ARKit apps have already surpassed 13 million downloads. Snapchat (iOS & Android): Like Pokémon GO, Snapchat is one of the leading mainstream examples of AR. Users can morph their selfies with AR masks or place amusing animated sprites (some based on their own Bitmoji likeness) into their physical space. 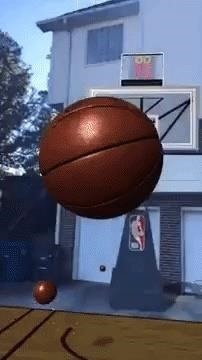 Snapchat has also started to introduce low-key gaming into the carousel of AR experiences. Price: Free. Instagram (iOS & Android): Snapchat is also facing an army of copycats. Facebook's Instagram app aims most directly for Snapchat's user base, offering nearly all of the same features, including AR masks, but stopping short of offering AR content for the rear-facing camera. Instagram's AR options are also devoid of branded AR effects. Price: Free. Dubface (iOS): Ready for a unique take on Snapchat's brand of AR? Dubface takes photos of you, your friends, or random celebrities, and pastes them onto animated 3D characters. 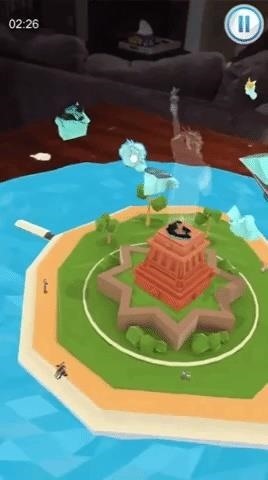 Powered by ARKit, you can place the unholy creations in a number of positions in your physical environment. 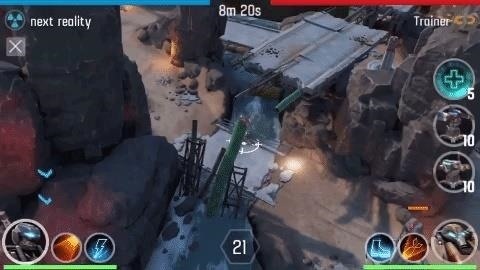 Price: Free, but $0.99 in-app purchase removes ads. Holo (iOS & Android): Here's another option for the "socialite" crowd. Rather than animated graphics, Holo offers more photo-realistic 3D content to enrich your photos and videos. Holo hosts more than 300 models, including the latest cinematic version of Spider-Man, astronaut Buzz Aldrin, actor Jon Hamm, professional skateboarder Nyjah Huston, and MMA fighter Anderson Silva. Price: Free. Sketchfab AR (iOS & Android): With more than two million 3D models in its library, Sketchfab is one of the leading repositories for 3D content, particularly for augmented reality experiences. For developers, the Sketchfab app is indispensable for previewing models in AR. For the rest of us, the app offers the deepest bench for augmenting photos and videos. Price: Free. Like (iOS & Android): Using my teenage kids as a barometer, I can tell you that Musical.ly was pretty hot last year, though Fortnite tends to monopolize their free time now. In either case, Like is kind of like Musical.ly remixed with Clips. 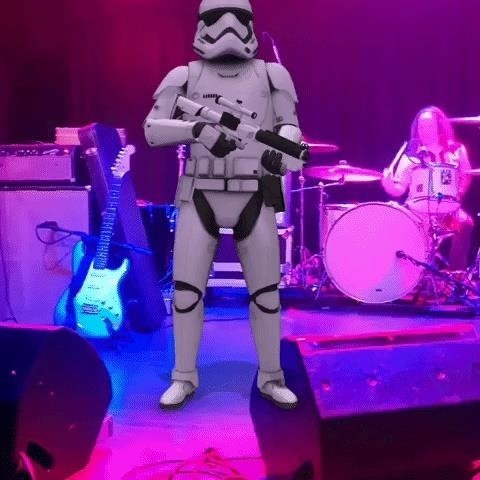 Users can use augmented reality to swap out backgrounds and add special effects to their musical pleas for the attention of their peers. Price: Free. Makeup (iOS & Android): While YouCam's cosmetics AR platform centers on its app, ModiFace tends to be the platform behind some branded AR makeup apps on the market. That being said, ModiFace does offer its own app—the aptly named Makeup. Users can experiment with more than 2,000 shades of makeup as well as celebrity hairstyles, eye colors, and accessories. Price: Free. NY Times (iOS & Android): The New York Times only recently adopted augmented reality as a means for covering the news, but already we've had the chance to see Olympic athletes and David Bowie's freaky costumes up close. That's a pretty good start! Price: Free with in-app purchases ranging from $9.99 to $129.99 for subscriptions. BBC Civilisations (iOS & Android): Developed as a companion to the show of the same name, this app ends up holding its own as an AR app experience. Users can explore digital scans of ancient artifacts, learn more about their significance, and even interact with them. Sure, Indiana Jones would say this stuff belongs in a museum, but augmented reality lets you view them in your home as well. Price: Free. Amazon (iOS & Android): Like IKEA Place, the AR View feature in the Amazon app lets customers view 3D models of furniture. However, Amazon sells so much more, so it also gives customers the opportunity to view electronics, toys, and other products in AR, many of which appear to be 3D scanned rather than rendered from a 3D model. Now you can tell if that Amazon Echo will match your Arkelstorp coffee table. Price: Free.